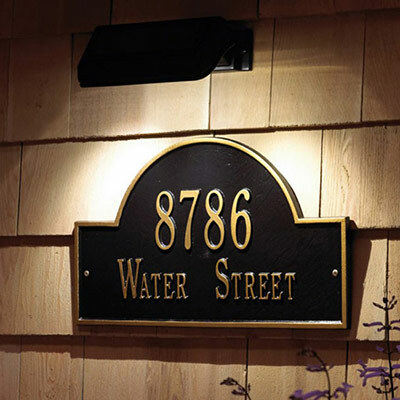 Add a touch of curb appeal with your elegant new Oval House Number Custom Address Plaque. Crafted in the USA from cast aluminum in your choice of four elegant finishes. Quick production time, customizable with up to four digits for your street address number, and ready to mount. The sophisticated oval plaque shape is durable and designed for all weather outdoor use. Address plaque dimensions: 12.0" x 6.25" x 0.25"